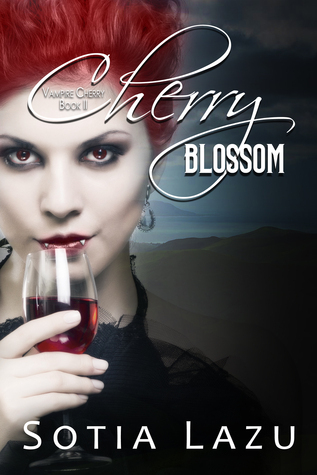 Cherry Blossom is book two in the Vampire Cherry series. This time around Cherry, our leading lady, is on the hunt for her maker. He went MIA and the team is going to have to track him down. She's also faced with the ramifications of turning her boyfriend Alex into a vampire. Everything is not peachy keen at casa Constantine (Cherry's ex). I will say, true to real life, the couple seems to gloss over potential issues. They let little things go, or don't want to talk about something since it would push the other's buttons. It all adds up and that's not good. You know it will cause drama later down the line. I felt like Cherry Blossom has a stronger family element when compared to book one. Alex, still having his human mentality wants to meet Cherry's parents. She hasn't seen or talked to them since she was turned years ago. All the little things I noticed in book one were brought to the forefront and expanded upon, which I really enjoyed while reading. I'm wondering where book three will lead. I'd recommend this series if you're looking for a vampire Paranormal Romance. As in book one, I really enjoyed Wendy Tremont King's performance. Her voice was expressive and kept my attention. I will be listening to some of the other audiobooks she's narrated in the future. PS: I finally figured out where I had heard her voice before, I had listened to a sample of Carrots by Colleen Helme! It's been a while since I haven't read a vamprire book and I don't think I know this one but maybe. Oooh I need to check out her other books then. I've liked these two in this series! This looks like a great series. I haven't been reading as much vampires lately. I've been on a shifter kick lately. *nods* It really was, enjoyed the audiobook version quite a bit! I wasn't too into the narrator from Carrots, glad you liked her though! Oh I looked at this on Audiobookblast. I wasn't sure about it though. It does sound like a fun listen. :D Thank you!